Photo Credit: The Aussie's handy work with Oliver's and Professor's heads. 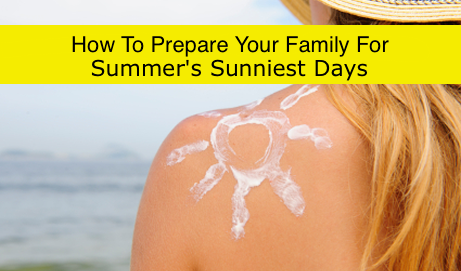 Now is as good a time as any to make sure you and your child are well prepared for the sun. Whether you’re hopping on a plane to distant shores for spring break or staying closer to home for a family-style staycation, sun safety is equally important. Here are a few pointers on how to protect your child from the sun. One of the most basic steps you can take is to ensure your kid is covered up. Long sleeved t-shirts and trousers are effective at shielding the skin from ultraviolet (UV) rays, which damage the skin. Bear in mind that light colors may not be as effective; in fact, when wet, they absorb as much sunlight as bare skin. Also, make sure your child wears a proper sunhat with a wide brim as opposed to a baseball cap. Unfortunately, caps offer no protection for ears and the back of necks. You could always go all out like I did. 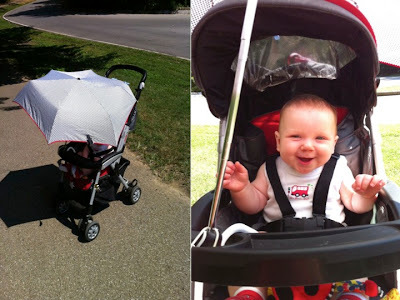 It kept Ollie cool and safe from the sun's rays during afternoon walks or trips to the zoo. When it’s too hot for long sleeves and trousers, applying sunscreen, is of course, essential. Start with a sunscreen with SPF 30 or higher and apply liberally 30 minutes prior to sun exposure. Don’t forget those hard-to-reach areas like ears, back of the neck, and feet. If you’re going swimming with your little one, remember to reapply their sunscreen afterward, as well as your own! Even if you’re planning to stay dry, sun cream should be reapplied once every couple of hours to ensure the best UV protection. 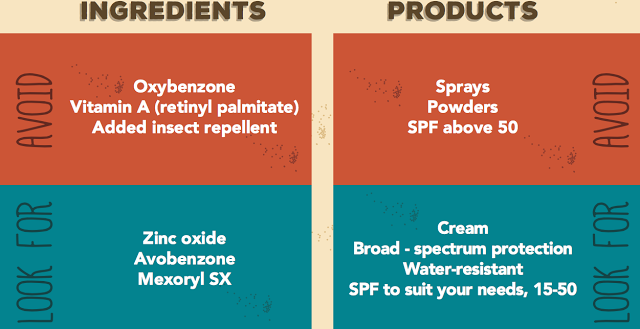 You can find more information on proper sunscreen application here. Broad-spectrum protection (protects against UVA and UVB rays). Sun Protection Factor (SPF) 30 or greater. Although protecting your child’s skin is quite rightly a priority, it’s important not to forget the eyes – over-exposure to UV rays can lead to cataracts in later life. Therefore, make sure your little one has a pair of sunglasses to wear along with their hat. Not all sunglasses have adequate protection from harmful rays, however, so it’s vital to check the product details before committing. If they are not labeled with “100% UV protection” or “UV 400 protection”, assume the glasses don’t have it. Fortunately, there are plenty of stylish options out there with this level of protection, including this collection of Ray-Ban Juniors. If you have older kids, there will come a time when they will naturally want to go off with their friends and play in the park or on the beach. When this happens, the first thing to do is ensure they have a fresh application of sunscreen before they go outside – either by supervising them or doing it yourself. During the early afternoon, when the sun’s at its strongest, it’s also worth remembering that harmful UV rays can still be strong even on a cloudy day. Try to stay nearby and set a limit on how long they can stay in the midday heat. As for any other part of parenting, setting a good example for your children to follow is key. Sun safety should never be a “do as I say, not as I do” topic! Many of us will admit to forgetting to apply sunscreen or staying out in the sun a little too long from time to time. These bad habits can be difficult to shake off at times, but if you’re not careful, your children may also develop a casual attitude towards sun protection. Bottom Line: Teaching the importance of sun-safety early is critical for a life-long understanding of the whys and hows for protecting your largest organ.